We all know that Facebook is a powerful networking tool, this is why marketing as we know it has changed so drastically within the past two years or so. Companies are just now starting to really realize how much of an impact Facebook has had on marketing and are really starting to step their game up with adding Facebook to their marketing strategy. It seems that smaller businesses are really stepping it up in a big way and using their smaller company size to move forward quicker than companies that have more red tape to move through to implement change. This is has been a driving force in allowing smaller companies to jump right on the social media bandwagon quicker. Entrepreneurs and small businesses, such as myself have been using Facebook personal AND business pages to extend their networks, meet contacts and clients. Facebook Timeline for personal pages AND Timeline for Branded Pages offers the ultimate One-Two Punch of Networking Power if used correctly. I am currently embracing and enjoying my ability to utilize the One-Two Networking Punch to do just that. I am loving the capabilities of Facebook Time line for personal and business pages used together, so much that I actually narrated ( yes…narrated ) a video to walk you through the process. This is huge for me as I NEVER narrate videos because I much prefer adding really cool music to grab attention. 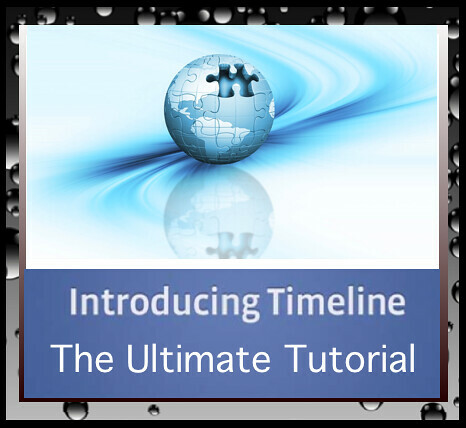 Take a look at the Video Tutorial below to walk you through a step by step process of HOW to Rock the Facebook Personal and Business Timeline for the ultimate networking One-Two Punch.